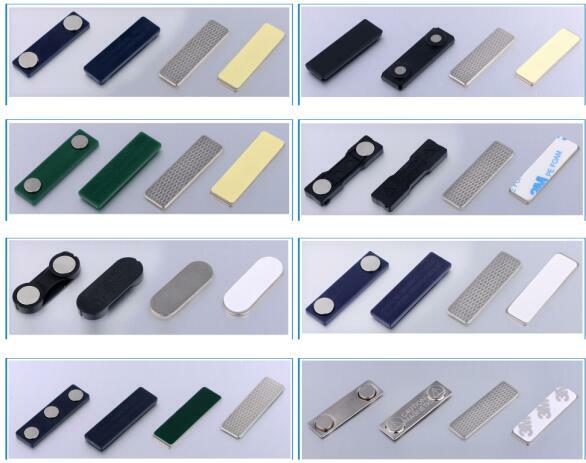 Magnetic Name Badges, also named magnetic badge holders consist of steel sheets , two or three powerful Neodymium permanent magnets or steel sheets are covered by plastics which can fasten securely to clothing or uniforms without hurting fabric. Magnetic Name Badges, also named magnetic badge holders consist of steel sheets , two or three powerful Neodymium permanent magnets or steel sheets are covered by plastics which can fasten securely to clothing or uniforms without hurting fabric. Custom made is available.